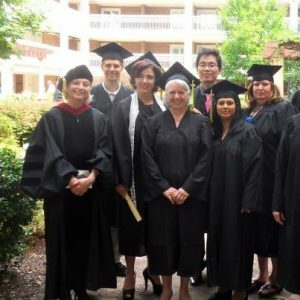 Combining the Spirit and the Word in higher education, CMM College of Theology is dedicated to developing emerging leaders in many nations with a strong knowledge and understanding of the living Word mixed with Faith. CMM maintains its standards of academic excellence through your private support and gifts. Thank you for joining others who share this vision and would like to become partners in advancing the mission of CMM College of Theology. We host many of our missionaries and leaders when they are able to come to Heritage International Ministries for a time of refreshing, rest, and equipping. (There are many who cannot afford on their own to ever come here.) As an example, I had a pastor’s wife in Cuba call me and say, “Thank you for changing my husbands life. He is a different man, coming back filled with so much love and peace and clarity from the Lord. Your church’s ministry to him will change his ministry and this nation.”We have had much feedback where some have even said their time with us. has saved their ministries, their marriages, and some even say we saved their lives. What a blessing to know we can impart and share the lush downloads the Lord gives us freely here at CMM in such abundance. We are giving it away to our beloved pastors and missionaries from around the world so that they go home changed and transformed. Surely, God is at work in this ministry and many are being healed, delivered, and launched into the brightest season of their lives. Gifts to the MSU College of Theology, are extremely important. Your tax deductible gifts can support the area of greatest need or scholarship for international or domestic students. Give now to support MSU College of Theology.